The number of open source frameworks that are available today is continuously growing at an enormous pace, with over 1 million unique open source projects today, as indicated in a recent survey by Black Duck. The availability of these frameworks has changed the way we build products and structure our IT infrastructure products are often built through integration of different open source frameworks rather than developing the entire stack. The speed of innovation is also an area that has changed as a result of this open source movement. Where previously innovation was mostly driven by the speed of development of new features, in the open source world innovation is greatly determined by how fast we can integrate and take advantage of new open source frameworks. Having said that, the process of trying out new open source frameworks can still be fairly tedious, especially if there isn't a well-funded company behind the project. Let me explain why. The integration of a new open source framework often goes through an evolution cycle that I refer to as the integration continuum. A typical integration process often involves initial exploration where we continuously explore new frameworks, sometimes without any specific need in mind. At this stage, we want to be able to get a feel of the framework, but don't necessarily have the time to take a deep dive into the technology or deal with complex configurations. Once we find a framework that we like and see a potential use for it, we start to look closer and run a full POC. In this case, we already have a better idea of what the product does and how it can fit in our system, but we want to validate our assumptions. Once we are done with the POC and found what were looking for, we start the integration and development stage with our product. This stage is where we are often interested in getting our hands on the API and the product features, and need a simple environment that will allow us to quickly test the integration of that API with our product. As we get closer to production, we get more interested in the operational aspects and need to deal with building the cluster for high availability, adding more monitoring capabilities and integrating it with our existing operational environment. Each of those steps often involves downloading the framework, setting up the environment and tuning it to fit the need of the specific stage (i.e. trial, POC, dev, production). For obvious reasons, the requirements for each of those stages are fairly different, so we typically end up with a different setup process with various tools in each step, leading to a process in which we are continuously ripping and replacing the setup from the previous step as we move from one stage to the next. The friction that I was referring to above refers to a process for a single framework. In reality, however, during the exploration and POC stages, we evaluate more than one framework in order to choose the one that best fits our needs. In addition, we often integrate with more than one product or framework at a time. So in reality, the overhead that I was referring to is multiplied by the number of frameworks that we are evaluating and using. The overhead in the initial stages of exploration and POC often ends in complete waste as we typically choose one framework out of several, meaning we spent a lot of time setting up frameworks that we are never going to use. How can we make the process simpler? In a nutshell, we combined two main principles - SaaS as a means to carve out the infrastructure complexity and open source practices and tools to allow for full customization. We use a SaaS-based model to provide a self-service experience that will allow users to launch their framework of choice through a simple one click deployment. This is particularly useful for the initial exploration stages in which users want to get a preview of many products and don’t have time to spend on setup and installation. The difference between our service and other SaaS services that are often done per product is that in this case, Cloudify provides a single-click deployment for many different frameworks using a single service. By relying on open source practices and tools, such as Github, we allow different degrees of customization at each stage to the point where a user can take the entire framework that we are using online on his own environment with full customization. This week we are launching a new application catalogue service on HP’s OpenStack-based Public Cloud, with the aim to make the use of open source frameworks on OpenStack simpler than on any other cloud. 1. Hassle-free preview - One click experience for trying out several open source services for 60 min. 2. Trial as a Service - Aimed for simple, 1 week POC. 3. Frictionless transition to unlimited account - Allows you to use the exact same one-click experience, but in this case the service will be launched under your account and managed by you. 4. Built on Github - The catalogue service is built on Git - this means that you can use the Git experience to add new services, customize them as you would any other open source project. 5. 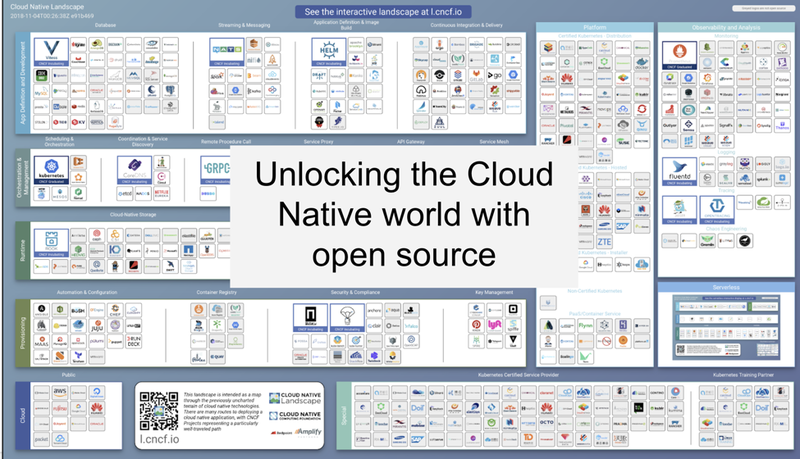 Fully open source - Having the catalogue (including the UI), the orchestration engine and the OpenStack-based cloud in open source means that you can also choose to clone this entire framework anywhere you like, including in your own private environment. In addition, leverage the investment that you built for the trial and POC stages for future phases, as you're going to use the exact same tools throughout the entire process. With this tool, users can launch any app outside of the catalogue service through a unique embed model similar to the way someone would embed a video from YouTube. How is that different that Amazon, GAE or Azure offerings? All other clouds limit their services to a particular set of pre-canned frameworks. 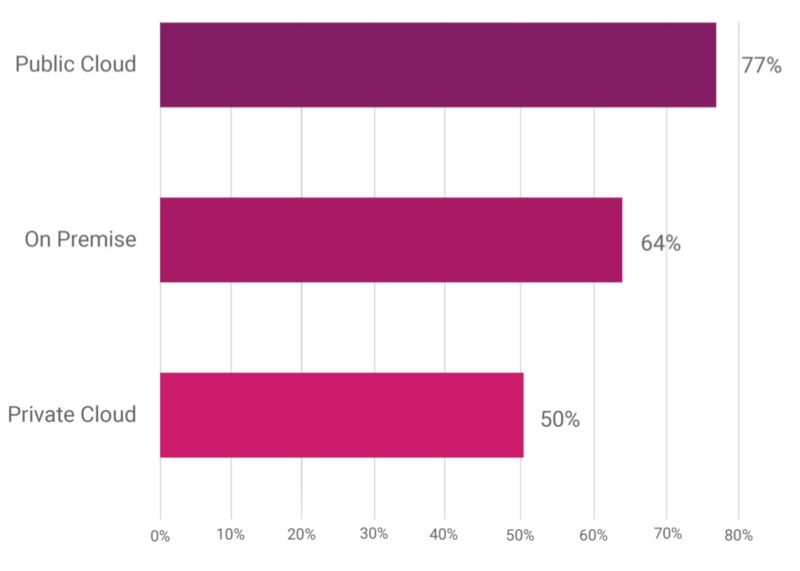 In addition, the infrastructure and tools that most clouds offer are not open source. This means that you will not be able to use the same services under your own environment. It also introduces a higher degree of locking. This flexibility is critical as the industry moves toward more advanced development and production scenarios. This could be a huge stop gap. If you get stuck with the out of the box offering, you have no way to escape, with your only way out to build the entire environment yourself, using other sets of tools to build the entire environment completely from scratch. The hassle-free preview model as well as the fact that you can run any of the services outside of the catalogue service makes the Cloudify Application Catalogue significantly simpler. This is especially true when comparing it with any of the existing alternatives on other clouds which often require registration and credit card as a way to get started. In today’s world, innovation is key to allowing organizations to keep up with the competition. The use of open source has enabled everyone to accelerate the speed of innovation, however, the process of exploring and trying open source frameworks is still fairly tedious, with much friction in the transition from the initial exploration to full production. With this new service, we believe that we have changed the game, showing that we can now make the experience of deploying new open source services and applications on OpenStack simpler than on other clouds. By taking an open source approach, we guarantee not to hit a stop-gap as we advance through the process and avoid the risk of a complete re-write or lock-in. At the same time we allow hassle free one-click experience by providing an “as-a-service” offering for deploying any of our open source frameworks of choice. By the fact that we use the same underlying infrastructure and set of tools through all the cycles, we ensure that users can take their experience and investment from one stage to the other and thus avoid a complete re-write. With all this we now allow many users and organizations to increase their speed of innovation dramatically by simplifying the process of exploring and integrating new open source frameworks. Alex Freedland, Co-Founder and Chairman at Mirantis, wrote a controversial post in which he basically marks the breakup between some existing PaaS frameworks and OpenStack - CloudFoundry specifically. Personally, I think that Freedland highlights a growing sentiment in the OpenStack community. The fact that OpenStack is open source should change the way we think of the PaaS and IaaS layers, as I noted in one of my earlier posts, The Blurring Line Between the IaaS and PaaS Layers. In the case of CloudFoundry and OpenShift specifically, PaaS was built with the assumption that the IaaS layer provides basic compute, storage and network services and all the rest should be handled at the layers above. The reality, though, is that the IaaS layer is continuously moving up the stack in a very similar way to which Amazon has grown its stack. This shift up the stack changes many of the built-in design assumptions of many existing PaaS products, CloudFoundry and OpenShift specifically. For example, the way we handle user-security, metering and scheduling is often in a completely parallel stack that exists in both the IaaS and PaaS layers. This leads to a lot of unnecessary redundancy and therefore complexity and inconsistency. On top of that, the middleware stack (Ruby vs Python) also leads to another layer of redundancy and complexity, especially for organizations looking to deploy the end-to-end stack. For example, why would we need two different models to handle database availability? Why do we need different agent systems to monitor our instances? If we already have a model to detect and monitor device failure, why do we need to add another failure detection mechanism on top to detect the same failure? In many of these cases, we already built solutions at the IaaS layer and we only need to make the right use of them. Now there is nothing wrong with CloudFoundry or OpenShift; they do exactly what they were designed to do. That being said, on OpenStack we can do things differently than we can on other closed IaaSs, creating a great opportunity to not just simplify things, but do do things that are much harder otherwise. Let me explain. A native open PaaS is a PaaS that comes with a much thinner stack and relies more heavily on a common set of services provided by the IaaS layer for user management, metering, etc. Its main focus is to provide a higher level abstraction that would simplify the deployment and management of applications on OpenStack. Another area that a native open PaaS differs from its existing predecessors is the native DevOps support. Many of the existing PaaS platforms were built with the assumption that developers only worry about their code. However, in real life, continuous delivery or deployment can expose changes at all layers, including the configuration of the application and PaaS stack, and should therefore be consistent with the way updates and configuration management takes place in the IaaS layer. A native open PaaS should leverage the same DevOps tools used by the IaaS layers to push updates to the application layer. Earlier this year, Amazon launched a new piece in their stack - OpsWorks, which basically filled a gap between their existing IaaS and PaaS layers. They refer to it as DevOps automation. AWS OpsWorks provides an orchestration and workflow service that currently runs on top of Chef and provides users with the ability to build their own custom stacks on top of AWS, as I noted in my earlier post DevOps, PaaS and Everything in Between. The OpenStack Heat project fills the AWS CloudFormation box in the above image, providing a basic templating model for orchestrating and automating the deployment of software stacks on OpenStack. I believe that OpenStack also needs to fill in the OpsWorks box as higher level abstraction for application deployment. Given the open nature of OpenStack and the private cloud focus I think that this piece should be more open and support not just Chef, but also other configuration management frameworks such as Puppet, Ansible and Salt through Heat. There should also be a much stronger emphasis on the application orchestration piece to enable automation of complex application related processes, such as continuous delivery, deployment automation, recovery and scaling and for that we need a more advanced rule engine to support those advanced flows. If done right, tools like OpsWorks in conjunction with Heat can serve as a great foundation for PaaS. At the same time, I can see many cases in which users would simply use something like OpsWorks directly without needing another layer of abstraction on top of it, hence why it makes sense to keep those boxes also as independent services. Adrian Otto, Principal Architect at Rackspace, announced Project Solum support from Rackspace, eBay, Red Hat, Ubuntu / Canonical, dotCloud as well as GigaSpaces. Some of the guys from my team at GigaSpaces are also going to give a talk during the OpenStack Hong Kong event about delivering the equivalent of Amazon OpsWorks on OpenStack - See the details here. There are many other related projects and initiatives that I haven’t listed here and many others that are probably being worked on as we speak - it is beyond the scope of this post to list them all. I think that this is a great and an exciting opportunity for the OpenStack community to deliver on its promise and really push the open source cloud forward. It can do so by breaking the traditional barriers between IaaS and PaaS, and go above and beyond what we've seen normally in closed source clouds. There are many areas in which such an approach can lead to an even greater degree of innovation. For example, think about bringing the network and the application together, making multi-site deployment a breeze. I look forward to meeting everyone on the Solum team next week during OpenStack Hong Kong and to being a part of this next wave of the revolution. There’ve been various discussions in the community on OpenStack Interoperability and Portability. The discussions tend to be centralized around the future of the OpenStack API and whether or not it would make sense to support the AWS API on top of OpenStack to allow for better compatibility with the AWS environment. From a recent webinar titled "OpenStacking your enterprise applications," we chose four fairly different use cases from various types of organizations, each of which took a different approach to "OpenStacking" their applications using a combination of Cloudify with either Chef or Puppet. Despite the differences in strategy and the challenges each organization faced, the way in which they all implemented their strategies shared much in common, which is the reason we feel that they are also relevant for this discussion. This week we will be joining the OpenStack NY Meetup: AWS APIs: What's the Big Deal? to discuss this subject together with Randy Bias and Dave McCory. Even though the topic of this post is not necessarily directly related, we thought that sharing these case studies could broaden the discussion beyond APIs and provide other perspectives on OpenStack interoperability and portability. One of the biggest banks in the US runs today over 10,000 applications across the organization. The bank had various initiatives for building a private cloud infrastructure, but none of them was at a maturity level that would allow the bank to move a large chunk of their applications onto such an environment. In addition, the bank is still considering the move to OpenStack and concerned by the level of maturity of the OpenStack framework. Most other organizations take an IaaS first approach, in which they first try to figure out the IaaS layer and only then move up the stack. The problem with this approach is that it of often takes a fairly long time to get this first bit to work. Many who took this approach had to redo large parts of their work as new frameworks and products started to emerge. The other challenge is that they often discover that this infrastructure isn't yet ready to run their apps in production. Moreover, they often learn this quite late in the game, when they’ve already started to move their apps to the new infrastructure. They used an automation-first approach, leveraging a combination of Cloudify and Puppet to turn their applications into cloud-ready apps. They abstracted the applications from the underlying infrastructure by not using anything specific to infrastructure layer. By abstracting the infrastructure tier from their applications they could use both their existing infrastructure and the OpenStack environment in parallel for deploying their applications, allowing for a simple switch of between those two environments without having to re-do any of their work. They leveraged their existing Puppet assets to speed up the "Cloudification" process. Time to value - Speed up the migration to the cloud by parallelizing the effort of setting up the IaaS layer and cloud-enabling their apps. Reduced risk - By decoupling their apps from the infrastructure, the bank could decide which applications to move and when. Immediate value - Plugging automation first allowed the bank to get an immediate benefit through automation of their manual processes even while they run on their existing infrastructure. Gradual migration - Using the same deployment management tools across their existing data center and cloud infrastructure allowed the bank to easily move applications from one environment to the other. This allowed them to gain much more flexibility when implementing their migration approach. For example, they could run their testing/staging environment on the cloud and keep the production environment in their existing data-center. They can later to decide to move the production environment to the cloud once they feel confident with the environment. Easy upgrade of their IaaS layer - The decoupling of their application from their IaaS environment allows the organization to be less sensitive to changes and new releases of their new IaaS layer and thus, adopt new IaaS releases relatively fast. A leading System Integrator provides services around BI solutions which include Cognos, IBM BigInsights (Hadoop) etc. Their existing customers run mostly on-premise. In many cases, they even use bare-metal machines due to the I/O intensive nature of those applications. Having said that, the cost of setting up such an environment has became a major inhibitor in the sales process, up to the point where new prospects and customers were not ready to pay the cost of setting up a large environment before they could evaluate the product for their needs. For that purpose, it made sense to provide those BI products on-demand first using the cloud, and deliver the product in the customer’s data center once they were ready to make the switch. The approach that they have taken was to automate the deployment and management of those products on one of the public OpenStack clouds and offer them on-demand through a self-service portal. Then, they could offer that same product in the customer’s data center. This process looks fairly similar to the one in the previous case, except that in this case, the primary deployment environment was the public OpenStack cloud. They implemented automation first using Chef and Cloudify. They abstracted the applications from the underlying infrastructure - to enable smooth migration from the trial environment on the public cloud to a production environment on a private cloud / traditional data center. They enabled each user to run his/her own *private* environment on the cloud by provisioning a complete cluster for that customer on demand. SaaS enablement without code changes - They now deliver their existing BI product portfolio on the cloud without having to wait for each product to become cloud enabled by its vendor. Consistent Management - They use the same management tools for provisioning and controlling the various BI products on their portfolio. Frictionless process from trial to production - They use the same management and provisioning infrastructure between the trial environment on the public cloud and the production environment on a private cloud. The economic pressures on the telco market force many of the carriers to look for ways to reduce their infrastructure costs. One of the ways to reduce their operational and infrastructure costs is to use virtualization and cloud driven infrastructure. A major trend in that category is known as NFV (Network Function Virtualization) in which carriers move all their services that currently run on many proprietary hardware appliances to software-based infrastructure that can be installed and run on any cloud infrastructure. One of the leading providers of such a solution is Alcatel-Lucent with its new product, CloudBand. The challenge that Alcatel-Lucent faced is that most of the existing carrier products, including some of its own, were not designed to run on top of virtualized environments, and specifically the cloud. By taking an automation first approach, they could turn many of those existing products into cloud services that can be delivered on their OpenStack-compatible carrier cloud platform, and thus enable carriers to speed up their move to NFV without waiting for all their suppliers to support this environment. You can read more about the Alcatel-Lucent use case here. A SaaS provider in the transportation business is providing tracking services for vehicles. They run their entire service on Amazon. During the past year, they had to deal with several outages. 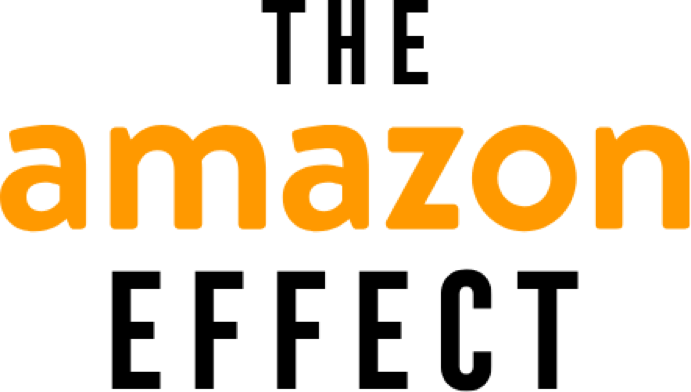 They were looking for ways to reduce the chance for outages as well as how to reduce their costs and their dependency on the AWS infrastructure. Out of all other options for cloud providers, OpenStack provides a range of choices for OpenStack-supported cloud providers, with the additional benefit of having the option to run it on premise under their full control. Having said that, the current reality is that many of the OpenStack providers are still lacking many of the services that AWS provides such as auto-scaling, RDS, load balancer as a service, etc..
Cloud-enabling their application allowed them to break each of the tiers in their application into individual services that can be wired together during deployment through the orchestration capabilities of Cloudify. When running on OpenStack, they were able to complement the missing services such as load balancing and auto-scaling in the OpenStack environment, through a rich list of existing middleware technologies supported by Cloudify and Chef. At the same time, they chose to turn off these services and use the ones provided by the infrastructure provider when applicable. Having said that, moving their entire application to OpenStack was too risky. To reduce that risk, they wanted to use a hybrid approach in which they will continue to run their AWS environment and move gradually to OpenStack only after they will feel comfortable with the environment. Using OpenStack as the DR site allowed them to reduce their sensitivity to AWS outages and at the same time enabled them to move more gradually onto OpenStack. As with the previous case, they were able to achieve all their goals by abstracting their application from the infrastructure, using a plug-in approach to enable simple switching between AWS and the OpenStack cloud environments, as well as using OpenStack as a DR site first. Final Words - Minimizing the Scope of Differences or Hiding them through Common APIs? In those four use cases, we’ve seen completely different organizations and kinds of applications taking similar steps to move their application to OpenStack. These often include automation first, decoupling of the application from the infrastructure and using consistent management tools that work across those various environments. These steps are anyhow also an implementation of some of the best practices related to running and managing applications on the cloud. By following them, you’re guaranteed to benefit from the investment, even if you choose another route down the road. It is important that we don’t try to hide the differences between the various environments or create a common facade, but rather minimize the scope and places where we need to deal with these differences by putting them outside of our application and in a central place. This is the main differences from an API-centric approach which tries to hide these differences by providing common sets of APIs (AWS API in our specific case) across all clouds as a portability strategy. While both options are valid, we believe that the abstraction approach is far more practical and could be applied to a wider range of scenarios even today, as opposed to the API-centric approach which is at best a potential future direction. Randy Bias CTO of Cloud Scaling sparked an interesting debate around the need of OpenStack to align itself with major public cloud offering, namely Amazon and Google clouds. According to an interview on GigaOM the timing behind Randy's proposal is a result of the concern that Rackspace is heading to a different and potentially opposite direction with their view of Amazon as a rival to OpenStack and also from the thought that relying on AWS API could be too restrictive from an innovation perspective. @nearyd: “@randybias user confidence that they can easily move work off one OpenStack to another"
According to this definition what were really looking for is application portability from non-OpenStack environments to OpenStack. The permutations and complexity of doing this across many vendors has sunk many previous attempts over the last decade. Randy’s reference to CloudStack AWS API bridge is actually a reference to why API bridges aren't that useful after all. Based on my experience, most if not all CloudStack users do not really use the CloudStack AWS bridge as it doesn't expose many of the CloudStack features, it’s not well tested and doesn't always work well simply because it's not considered a main path. I also heard similar feedback from Adrian Cole, the founder of the JClouds project - a popular cloud abstraction framework. "I do agree that APIs sometimes get more credit than they deserve. Sometimes people oversimplify the concept of a platform and the compatibility of a platform based on just saying, 'If you've got the API, you've got compatibility.' The reality is that an application architecture depends on the behavior of the whole system it's interacting with. The API is simply the way it talks to that system." Apple IOS and Google Android are actually good references for achieving fairly good application portability between two environments without necessarily agreeing on the same API. Can you imagine Google adopting the same IOS API? This shows us that there must be alternative approach to portability. Subbu Allamaraju suggested that portability should be done through glue code. "Anyone writing code to interact directly with APIs of popular clouds is probably doing something wrong (and certainly wasting effort). There are a number of cloud abstraction libraries which are doing a great job in providing a unified interface to multiple clouds. Fog (Ruby) is a great example - sponsored by Heroku no less - of how a community/ecosystem is developing around multi-cloud interaction." “If the future is, as I suspect, made up of enterprises using lots of different cloud offerings (not so much in a hybrid/cloud migration model but more of a discrete multi cloud approach) then there is less of an urgent need to resolve to one common API set. So long as there are products that give visibility and management over these discrete resources (and this is where Dell, with its recent acquisition of enStratius and dropping of its own public cloud play, is thinking) the actual interoperability or commonality of the different products API sets is secondary." Given the dynamic nature of the cloud environment, there is no doubt in my mind that portability is important - not just between AWS, GCE and OpenStack, but also between different OpenStack providers, as well as between traditional data-center environments and OpenStack as I noted in my previous post To OpenStack or Not to OpenStack? Moving Enterprise Applications onto OpenStack Today. Having a native cloud API that is compatible with AWS and GCE is wishful thinking and, unfortunately, makes it less practical at this point in time. Application deployment is better described in recipes, which cover a wider spectrum of application deployment and behavior - such as the tiers of the application, the metrics, the scaling policies, the configuration etc. The OpenStack Heat project, which is actually driven from its AWS equivalent CloudFormation, can get us much closer to the desired portability, even if the underlying Cloud API doesn't conform to the same API. If done right, this means that we could execute our application recipes in a similar way on both AWS and OpenStack. Having said that, in order for OpenStack Heat to become the solution for cloud portability there is more work to be done in designing the framework in a way that will be more loosely coupled with the underlying OpenStack infrastructure and also to adopt richer deployment recipes that can cover more aspects of our application deployment in a declarative way. It looks like there are already plans in this direction, but the progress seems to be fairly slow. Therefore, I think that it would be both simpler and less disruptive for the community to align its effort in maintaining portability around the Heat project rather than re-writing the Nova API. Thoughts From Not so Long Past.. While I was writing those lines I came across one of my previous talks Making Cloud Portability a Practical Reality from 2011. I thought that many of the points from this presentation are still relevant… Enjoy.